Alaska officials say they now expect to see a third straight year of increased oil production, a notable reversal after years of decline on the North Slope. Alaska producers have "outperformed" and are doing "more with less," according to a presentation to lawmakers on Wednesday from the Alaska Department of Natural Resources. The forecast for increased North Slope oil production in the current fiscal year, which began in July, came with a second prediction Wednesday, this one from the Alaska Department of Revenue. The revenue department said better-than-expected oil production, thanks to future projects coming on line, will lead to increased revenue to state government over the coming decade. 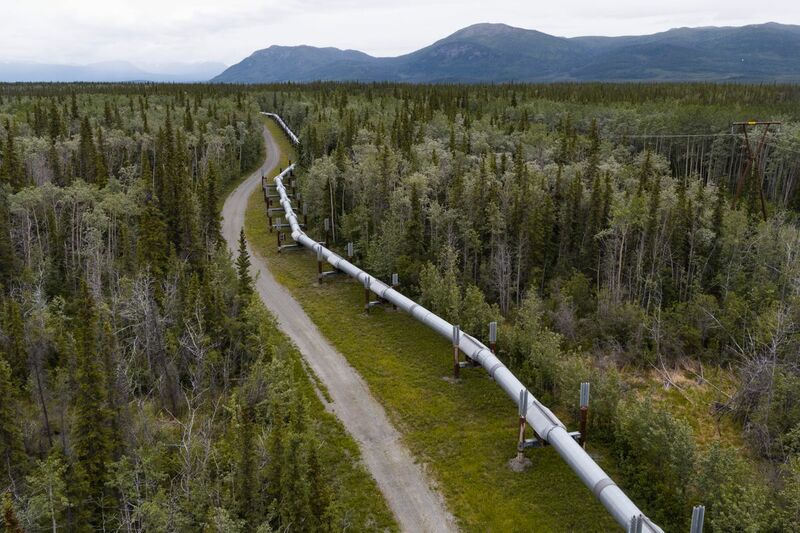 But the increased revenue will begin rising next year, and Alaska still faces a $2.5 billion deficit caused in part by the oil price plunge that began in 2014, the agency said. The updated production and revenue numbers were presented during a House Finance Committee meeting at a special session in Juneau, where the Legislature is considering budget and tax issues. To help inform legislative discussions, the revenue department is releasing a preliminary version of the annual 10-year forecast the state will release in December, Commissioner Sheldon Fisher said Wednesday. The forecast may change in the final report, he said. Oil production is expected to increase to 533,000 barrels per day in the current fiscal year, up from 501,000 barrels three years earlier, Alaska Oil and Gas Division officials said. Operators have found ways to be more efficient with a smaller workforce, including better planning for maintenance that helps keep oil flowing, said Ed King, special projects adviser for the Department of Natural Resources. "They have found ways to do more with less and survive in this low price environment," King said. The North Slope turnaround follows years of nearly consistent production decline since oil-flow peaked at 2 million barrels per day in 1988. New fields that may come on line in the coming years will also help keep production levels stable, King said in an interview. He said that calculations involving speculative fields are "risk-weighted" because they may never happen. The revenue department said it expects oil production to stabilize around 500,000 barrels daily over 10 years. It also lowered its oil price forecast slightly, saying prices for North Slope crude will average $54 a barrel in the current fiscal year, climbing to $75 a barrel by 2027. Despite the modest decline in expected oil prices, the increase in expected oil production contributes to an overall increase in revenue during the state's 10-year outlook, Fisher said. But the effect won't be immediate. The revenue department expects $1.8 billion in unrestricted general fund revenue in the current fiscal year, essentially unchanged from the spring forecast, he said. But the forecast for that revenue in fiscal year 2019 rises by about $100 million, to $2 billion. The improved outlook means "revenue is forecast to grow at approximately 2.5 percent annually" through fiscal year 2027, Fisher said. By then, unrestricted general fund revenue is expected to be $2.8 billion.